Too many hot, spicy foods can spark excess digestive fire and too much stomach acid. 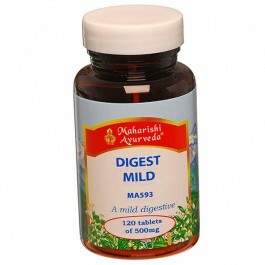 Over time, this can knock digestion out of balance and lead to a variety of health problems. Modern drugs can quickly reduce acidity but the body then produces more. 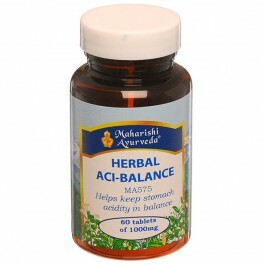 The 17 herbs in Aci-Balance help to bring balance so that acid is maintained at an appropriate level for both short-term comfort and long-term balance. 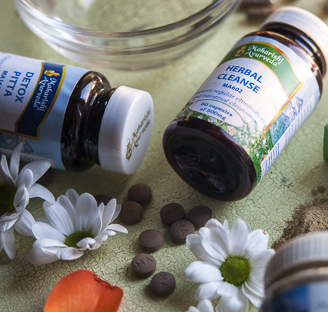 Turpeth has a special property of both cleansing and balancing digestion. We use the rare white form of Turpeth which is safe and very effective for this purpose. Clove, Cardamom and Ginger support digestion and comfort. 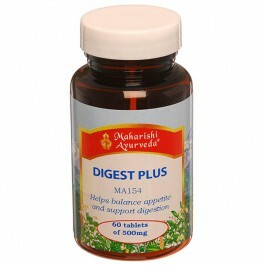 Amla has the unusual ability to enliven digestion without heating the body, so it is ideal for balancing stomach acid and other Pitta-related digestive problems. Take 1-2 tablets twice daily after main meals with a sip of warm water. Extra tablets may be taken as required at other times up to a total of not more than 6 Tabs per day. Do not chew. For lasting results use for at least 2-3 months. Reduce spicy & salty foods, alcohol and smoking. Favour sweet juicy fruits, Take a little cold milk but not with meals. Make lunch the main meal and eat at regular times. Avoid mental stress.